The plans and events calendar for Ibiza 2019 goes beyond the summer months. All year round you’ll find appealing proposals on the island's calendar for families, sporty people, art and music lovers, foodies, clubbers... Take note of our choice of events and book your suite at Ibiza Sun Apartments: there’s bound to be an event that suits you. This food event takes place twice a year, in April and May and in October and November. During these weeks, many restaurants on the island prepare special menus at a set price using specific traditional produce. A great chance to enjoy Ibizan cuisine. The Ibiza Marathon and Ibiza 12K races will be taking place once again between the city of Ibiza and the village of Santa Eulària des Riu. On this occasion, these two annual races will take place on April 6 as the starting signal to spring in Ibiza. This sports event in Ibiza will take place from 19th to 21st April. With a total distance of 230Km and a total elevation gain of over 5800m, this event will gather a maximum number of 1000 cyclists. 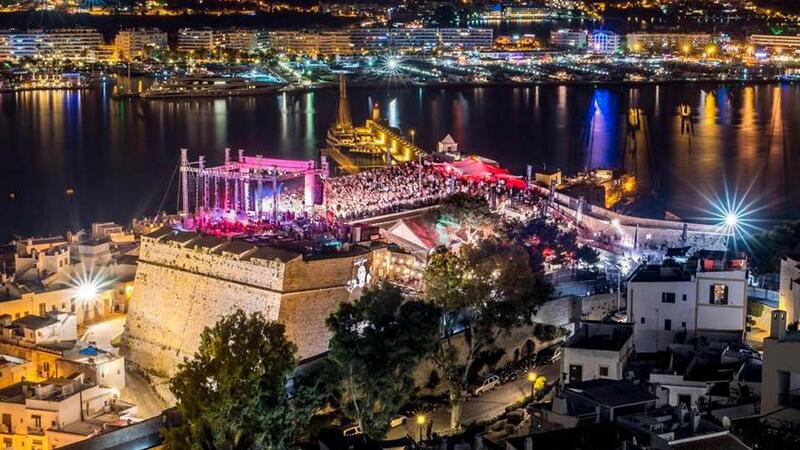 The Santa Lucía bastion in Dalt Vila will be hosting the electronic music party on 24th May. The International Music Summit brings the latest trends in electronic music to the island. For many, the summer starts with the return of evenings admiring the sunset from Café Mambo and its pre-parties. This year, they will be opening their doors on the weekend of 10th and 11th May. 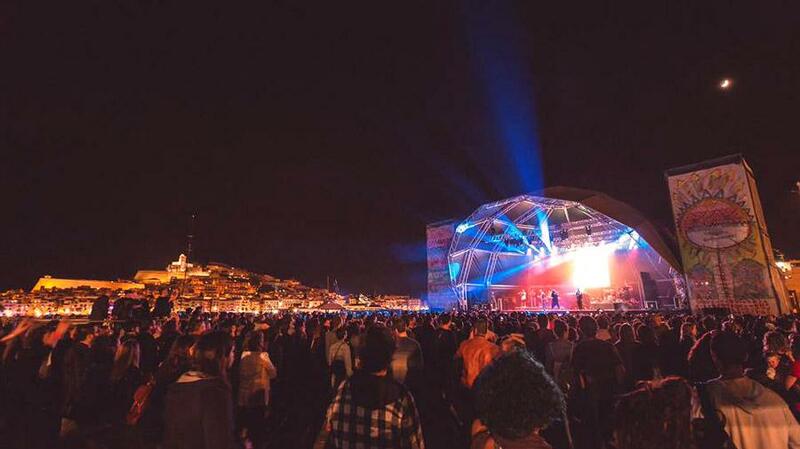 Ketama, Delaporte and The Mani-las are some of the groups who have already confirmed their presence at this music festival in 2019. It takes place in the harbour of Ibiza’s capital and its programme always includes very diverse music proposals. In May, travellers with kids will find two important family-friendly dates. The first is the Medieval Fair that will be held from 9th till 12th May 2019 in the streets of the old part of the city of Ibiza. The second is the Barruguet Family Theatre Festival that will take place in Santa Eulària des Riu on the last weekend of the month, from 24th to 26th May. From 12th till 15th June, the streets in La Marina quarter in Ibiza and many clubs on the island will be celebrating this party against discrimination which LGTBI travellers must not miss. If you’re coming over to Ibiza in 2019, stay at our comfortable suites on Playa d’en Bossa and have a blast at this event. For the first fortnight in August, the city of Ibiza hosts its local fiestas with free concerts, folk dances, traditional food and firework displays. 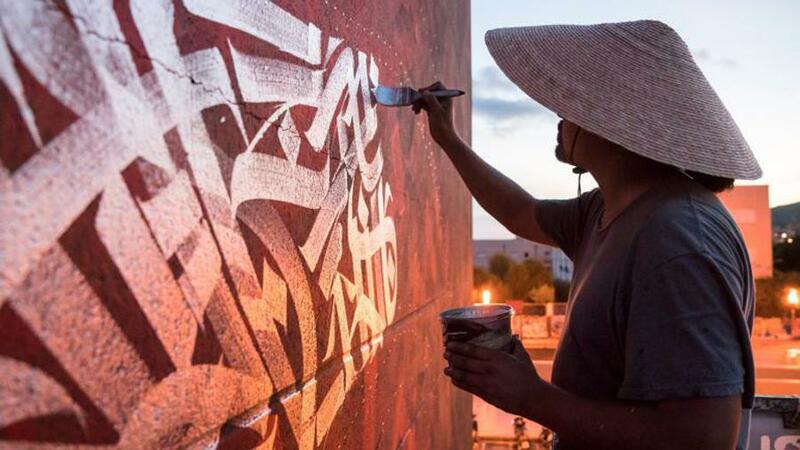 In 2019, this cross-disciplinary festival will fill the streets of Ibiza with urban art, musical performances and other artistic events. It takes place from 21st August until 4th September. Santa Lucía bastion will once again host this memorable jazz event in Ibiza. This iconic festival has been going on for over 30 years. In 2019 it will take place from 4th till 7th September. The 17th tour of this important race in Ibiza will be from 11th to 13th October and will gather many road-cycling fans. Another two sports events this month are Ibiza LD & Half Triathlon and the Ibiza Trail Marathon. Learn what our customers think about us on Tripadvisor, Booking and Google+.